This Southern Toad lives among the ferns and Hostas in my yard. 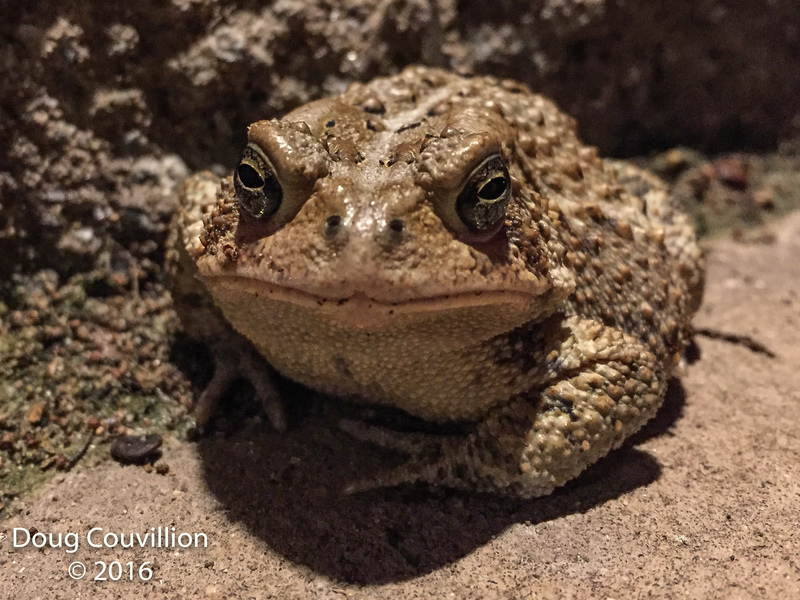 On a recent evening it was hanging out on the patio waiting for the lights to draw dinner in. 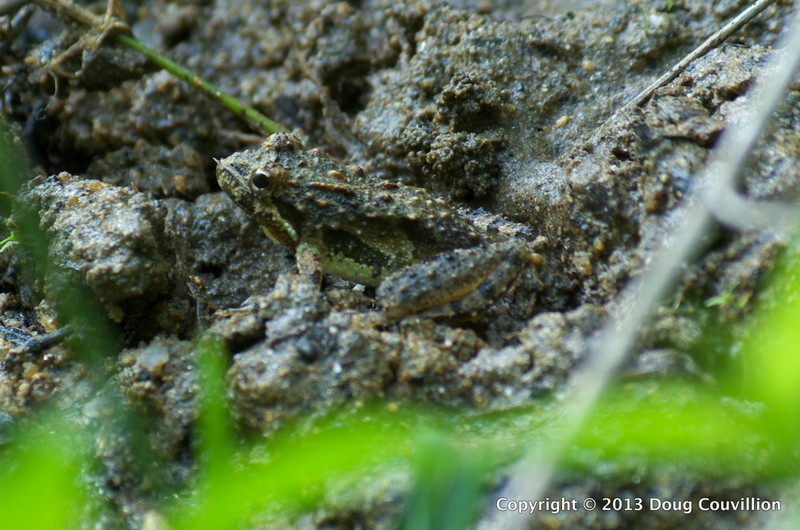 A tiny Cricket Frog sits still, assuming its nearly perfect camouflage will keep it safe. I never would have seen it had it not hopped right in front of me as I walked down the lakeside trail. Walking in a park near the James River on spring afternoon, I stopped to see if there might be anything interesting in a large puddle adjacent to a small pond. 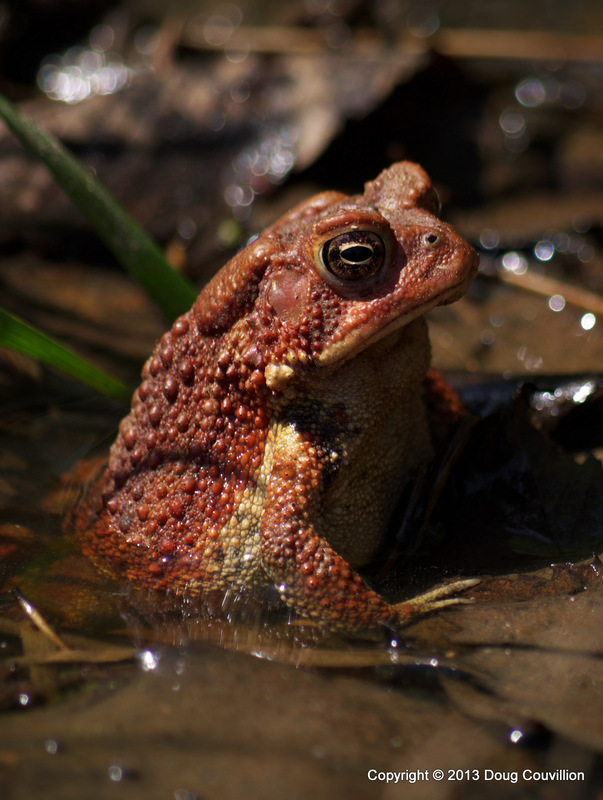 Sitting, quietly a few feet from the trail was this red toad. It remained so motionless as I photographed it, I began to think it might be a toy frog somebody put there as a joke.